020090204 Filed under books, umwelt, work. Bookmark the permalink. “Analysis of Linsker’s simulation of Hebbian rules”, Neural Computation, 2:173-187. 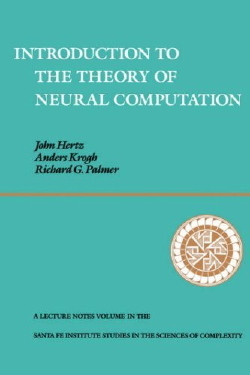 J. Hertz, A. Krogh, and R. Palmer, “Introduction to the Theory of Neural Computation.” Reading, MA: Addison-Wesley, 1991. James A. Anderson and Edward Rosenfeld (ed. ), “Neurocomputing, Foundations of Research”, MIT Press, 1988. 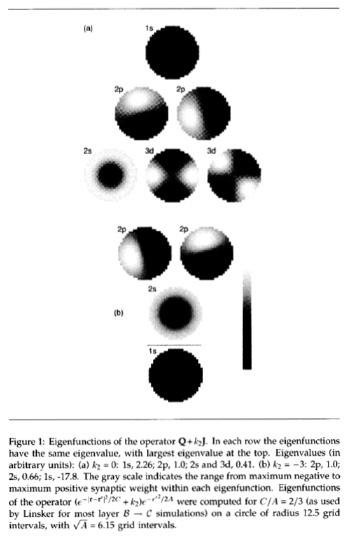 R. Linsker, “Self-organization in a perceptual network,” Computer 21(3): 105-117, March 1988. N. Jakobi. Harnessing morphogenesis. In Proceedings of Information Processing in Cells and Tissues, pages 29–41, 1995. J. C. Bongard and R. Pfeifer. Repeated structure and dissociation of genotypic and phenotypic complexity in artificial ontogeny. In Proceedings of the Genetic and Evolutionary Computation Conference, GECCO-2001, pages 829–836, 2001. 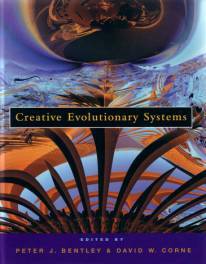 Peter J Bentley and David W Corne, “Creative Evolutionary Systems” , Morgan Kaufmann, 2001. Summer School, D. S. Touretzky, J. L. Elman, and G. E. Hinton, Eds. San Mateo, CA: Morgan Kaufmann, 1990, pp. 81–90. X. Yao. “Evolving artificial neural networks.” Proceedings of the IEEE, 87(9):1423–1447, 1999. Siebel, N., Sommer, G., “Evolutionary reinforcement learning of artificial neural networks”, in International Journal of Hybrid Intelligent Systems (IJHIS), IOS Press, 4(3), pp. 171-183, October 2007. I do have a newsletter. Powered by WordPress. Built on AutoFocus and Thematic. Log in.